We are excited to announce that On The Road culinary adventures will be traveling to Virginia this April 21-23, 2013. The highlight of this extraordinary culinary tour affords our guests a rare behind the scenes opportunity to experience Thomas Jefferson’s Monticello as very few people do. 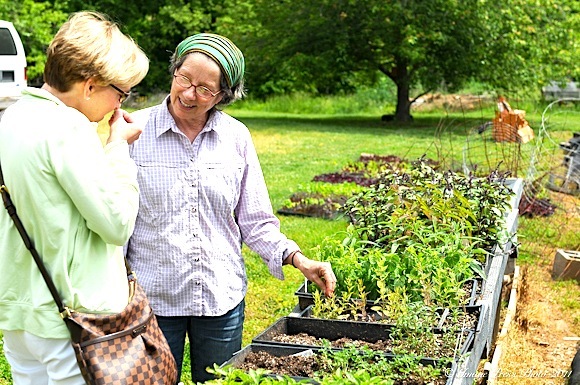 This truly is a once in a lifetime culinary tour and we hope you will join us for springtime in Virginia. Thomas Jefferson’s historic garden is perhaps one of the most important pieces of culinary history in our nation. Monticello is also a National Historic Landmark and the only house in the United States designated a UNESCO World Heritage site. 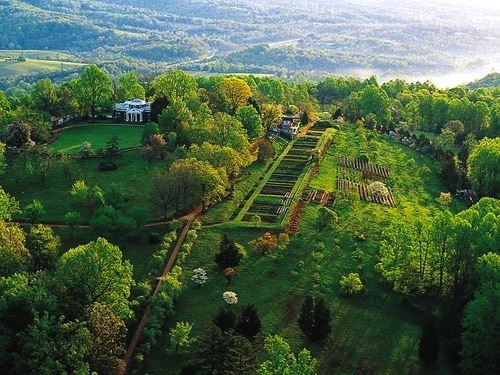 During our three-day, two-night culinary adventure, we will take you on a privately guided tour of the gardens and Monticello with Gabriele Rausse, the property’s famed Director of Gardens and Grounds and one of the early pioneers of Virginia wine. 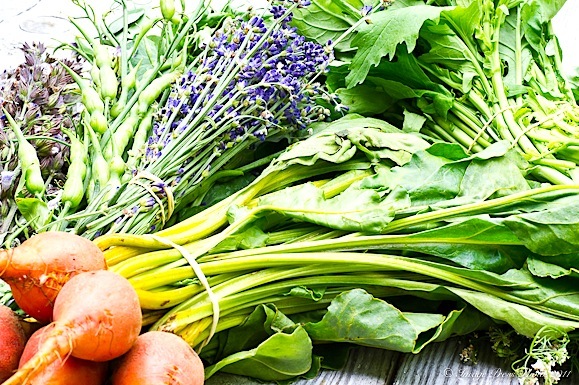 We will also harvest produce from the garden that will be prepared for our lunch that will be served in the orchard at the top of the mountain. 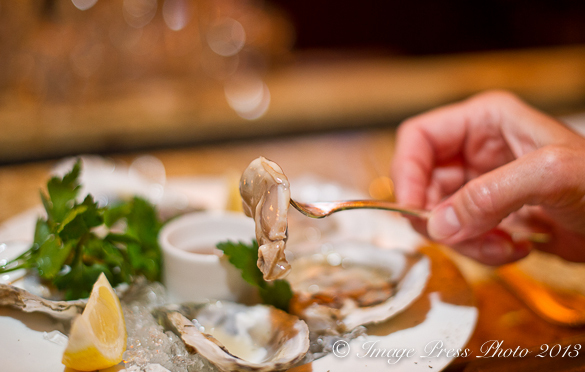 Our upcoming On The Road culinary adventure may be the most exciting tour yet as we experience some of the historical and culinary highlights of Jefferson’s Virginia. Pricing and details are at the bottom of this post. For more information, you may contact us at (404) 380-1010 or email OTRculinaryadventures@gmail.com. Outdoor dining creates a real connection with our food, the farmers who raise and produce it, and the chefs who creatively prepare the dishes from those ingredients. This culinary tour is all about connections. We will learn about our culinary past and present as we tour the farms and gardens, harvesting fresh produce, and then enjoy the fruits of that labor while sipping locally produced wine under the setting sun. This is sure to create memories that will last a lifetime. 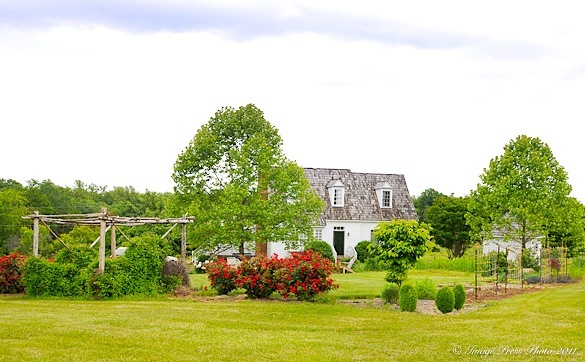 Our first evening’s dinner will be at Manakintowne Specialty Growers located in Powhatan, Virginia. 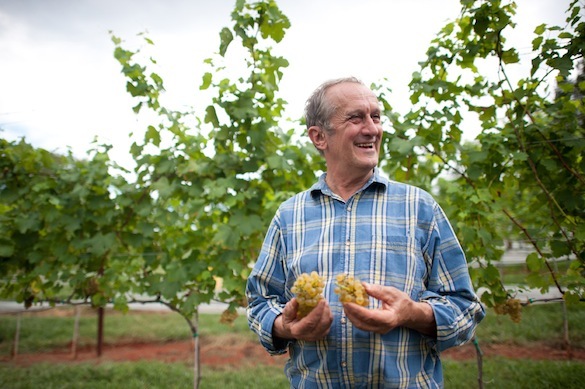 Just a short drive from Richmond, Jo and Rob Pendergraph have been growing stunning produce since 1985. They custom grow and supply many of the best chefs in this region with their specialty products. They will be the hosts for our farm dinner that evening. Our farm dinner at Manakintowne town will be prepared by three of the best chefs in the region: Walter Bundy from Lemaire at The Jefferson Hotel in Richmond; Lee Gregory of The Roosevelt in Richmond; and Aaron Cross of Fossett’s and Keswick Hall in Charlottesville. All three chefs have received numerous accolades, as have their restaurants. They are thrilled that we have chosen to come to Virginia and have an incredible evening planned for us at Manakintowne. Chef Walter Bundy has been invited to cook at the James Beard House in New York, has hosted and participated in other James Beard Foundation dinners. He has also appeared on The Food Network’s Food Nation with Bobby Flay. 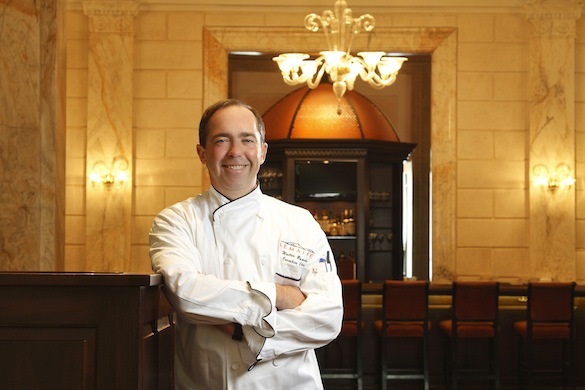 Chef Lee Gregory was just nominated as one of semifinalists for Best Chefs in the Mid-Atlantic region for the 2013 James Beard Foundation Awards. 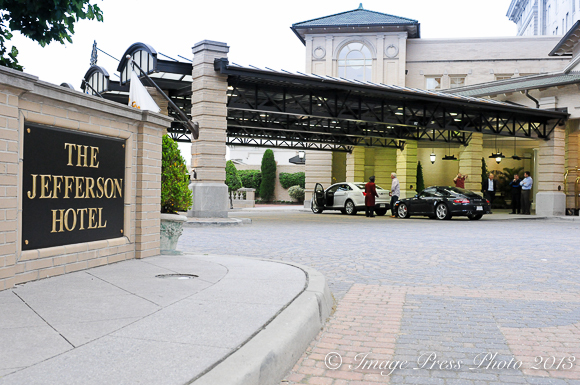 The Roosevelt was also named 2012 Restaurant of the Year by Richmond’s Style Weekly. 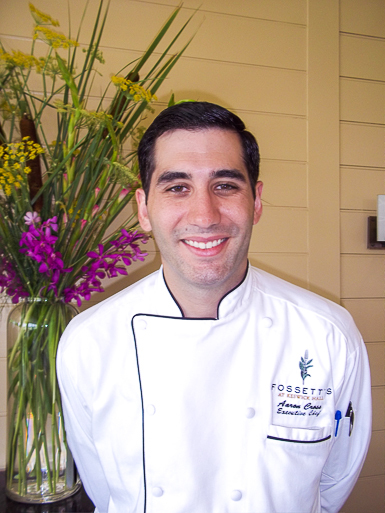 Chef Aaron Cross recently became executive chef at Fossett’s at Keswick Hall in Charlottesville. 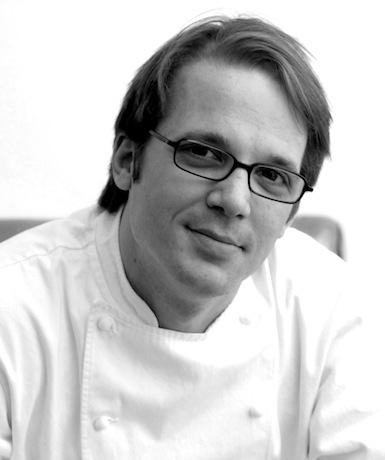 He was formally at Lemaire working with Walter Bundy when the restaurant, after a complete renovation in 2009, was named Best New Restaurant by Esquire magazine. The focus of the chefs for this dinner will be to incorporate beautiful local meats and seasonal produce harvested from Manakintowne. The atmosphere will be informal and relaxed. Chef Bundy says he wants everyone to have fun as the chefs serve up “delicious food” under the stars. We look forward to an evening filled with fabulous food and wine shared with the chefs, winemaker, farmers, and a few of the staff from Manakintowne. As the sun begins to set, we will dine under the stars while enjoying wines from Barbousville Vineyards with the vintages explained to us by winemaker, Luca Paschina. 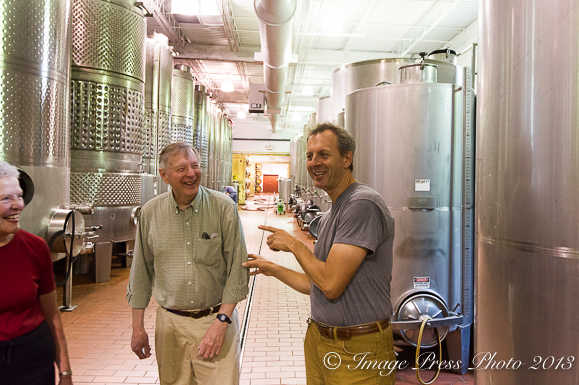 Barboursville Vineyards was started in 1976 by Italian winemaker Gianni Zonin. 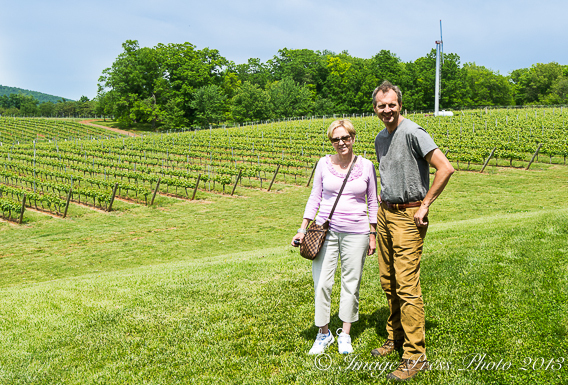 With over three decades of winemaking experience in Virginia, Barboursville has created outstanding wines. Today, the Commonwealth of Virginia is the 5th largest producer of wine in the United States. Originally from Italy, Luca has been making wine at Barboursville for over twenty years. The following morning we will travel by private motor coach from Richmond and The Jefferson Hotel to Charlottesville where we will experience a once in a lifetime guided tour and luncheon on the top of the mountain at the home of Thomas Jefferson’s Monticello. Truly an American treasure, Monticello is one of the finest examples of preservation and architecture in our country. Jefferson’s gardens are legendary with over 100 types of heirloom produce grown on the property, just as it was in Jefferson’s time. Known as a great culinarian, historian, and lover of excellent food and wine, there could not be a more perfect place to learn about and celebrate nature’s bounty. We will tour Jefferson’s historical gardens with Gabriele Rausse. 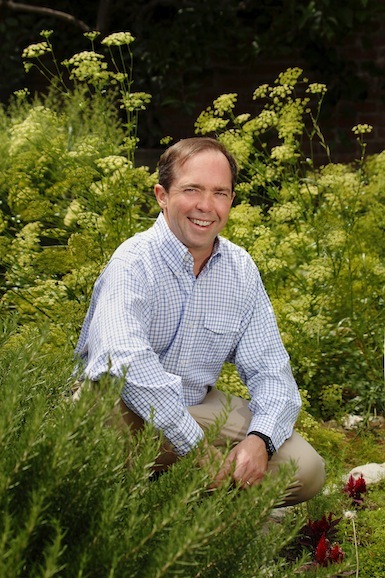 He will talk about Jefferson’s gardens, their heirloom seed saving program, and the preservation efforts of Monticello. We will be accompanied by Chef Dean Maupin of C&O Restaurant in Charlottesville as we gather and harvest some of the ingredients for our luncheon. 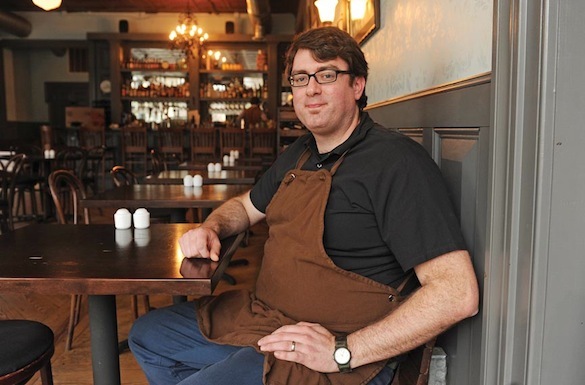 Chef Maupin was formerly the executive chef at two of Charlottesville’s best properties, Keswick Hall and Clifton Inn, before moving to C&O. While lunch is prepared by Chef Maupin and his culinary team, we will tour the former home of Thomas Jefferson. This tour will be followed by a private luncheon set in the orchard at the top of Monticello. Private events at Monticello are very exclusive and we feel privileged to be able to offer this very special opportunity for our guests to learn, photograph, dine, and enjoy the beauty of this historic property set in the breathtaking Shenandoah Mountains of Virginia. This will be an afternoon that you will not want to miss as we enjoy a three-course lunch with some of the same ingredients that Jefferson may also have dined on at one time, while enjoying local Virginia wines that will be paired with our meal. We will finish by toasting with a glass of Madeira, one of Jefferson’s favorite wines. We can relax as we head back to Richmond for our final evening’s dinner at Lemaire. 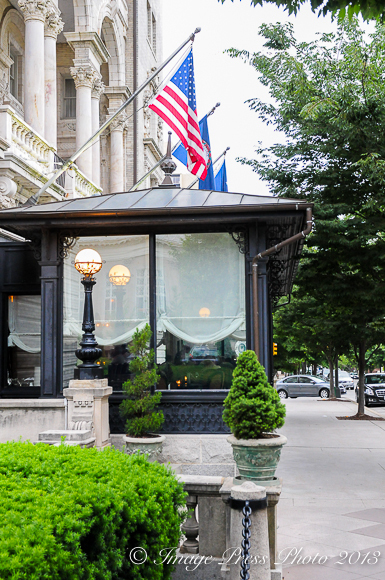 The dinner, in a more formal setting, will be prepared by Executive Chef Walter Bundy and his team at The Jefferson Hotel. The evening’s tasting menu, created especially for our group with wine pairings, will feature regional specialties, beautiful Virginia grown ingredients, and elegantly prepared dishes that Chef Bundy is so well known for. You may want to end the evening with a glass of sherry or port in the bar at Lemaire before retiring to bed. The following morning we will visit a local artisan, Olli Salumeria. 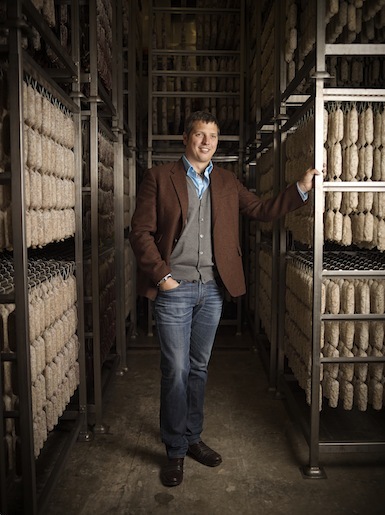 With a personally guided tour by local salumi maker, Oliviero Colmignoli, we will have the opportunity to learn more about the art of slow-cured salumi making in Virginia and sample some of their products before departing for home. Olli’s products have gained national recognition from many well-known chefs and cookbook authors and we look forward to learning some of the secrets behind their success. 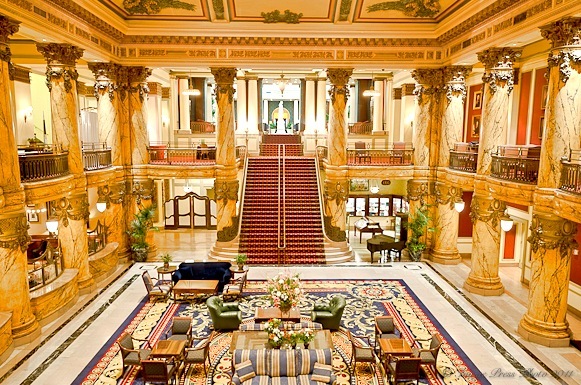 For guests traveling to the Richmond area for our culinary tour, the historic and stunning Jefferson Hotel in downtown Richmond is offering a special rate of $155 per evening (plus taxes). These rooms are reserved for two evenings, April 21st and 22nd. If you are interested in additional nights, please contact the hotel directly and they will try to accommodate you. 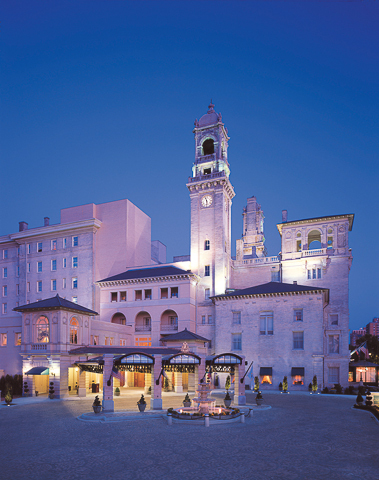 The Jefferson Hotel has the distinction of being Richmond’s grandest hotel since 1895 and has received numerous accolades including consistently receiving Five Stars from the Forbes Travel Guide (formerly Mobil Travel Guide) and Five Diamond status from AAA, most recently receiving both of these awards in 2012. We look forward to having this elegant luxury property host our group. This exceptional event is being offered at $750 per person, all inclusive of taxes, gratuities, wine pairings, and transportation to and from Richmond to Monticello. (* A portion of this amount is a charitable donation to Monticello). Any additional expenses, including hotel rooms, parking, and additional meals and alcoholic beverages (not described above) are not included. 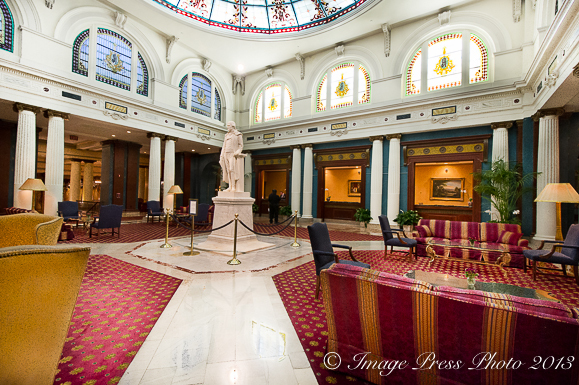 As mentioned previously, The Jefferson Hotel is offering our guests a special rate of $155 per room (plus tax) per night. This event is limited to 20 guests. For information and details on how to book this tour, please contact us at (404) 380-1010 or send an email to OTRculinaryadventures@gmail.com. To recap, the tour price includes: the farm dinner with wine pairings at Manakintowne Sunday evening; travel by executive coach from The Jefferson Hotel in Richmond to Monticello Monday; the tour of the gardens and house at Monticello; lunch with wine pairings in the orchard at Monticello and the return trip to The Jefferson Hotel; tasting menu with wine pairings at Lemaire Monday evening; and the tour and tasting at Olli Salumeria Tuesday morning. Don’t miss this once in a lifetime opportunity to journey through farm land, wine country, and history as we enjoy some of the best of Richmond and Charlottesville’s culinary offerings with a trip back in time at one of our country’s American treasures, Monticello. We look forward to seeing you in Virginia in April! Note – On The Road culinary adventures is in no way affiliated with ©Thomas Jefferson Foundation at Monticello. We are a third party who has contracted with them to host this tour for our guests. Definitely an amazing and very full schedule, and we thank you for taking the time to highlight all that Virginia has to offer the culinary world. If you can find the time, i’d love to invite you for a tour of S. Wallace Edwards & Sons. We’re a 3rd generation owned and operated company in Surry, Virginia (about and hour south of Richmond) that has been producing traditional dry cured hickory smoked country hams, bacon and sausage for more than 87 years. Using recipes and methods dating back to the original Jamestown Settlement, we offer a true taste of Virginia history. Feel free to call anytime.., 757-294-3121. Thx.., KR. Thank you for your comment and the invitation. I will get in touch if there is time to stop by after the tour before we head back home. Only $750??? Wowee I soooo wish I could join you. Truly an amazing and stunning culinary adventure! I am amazed at what you guys come up with. Hats off to you and Mr. Bunky….. Thank you, Jamie. I wish you could join us, too. You’ll have to plan one of your trips back to the States around our tour at some point in the future. I hope you will be able to join us again. This will be a truly exceptional tour. Fingers crossed that it works out for you to come!